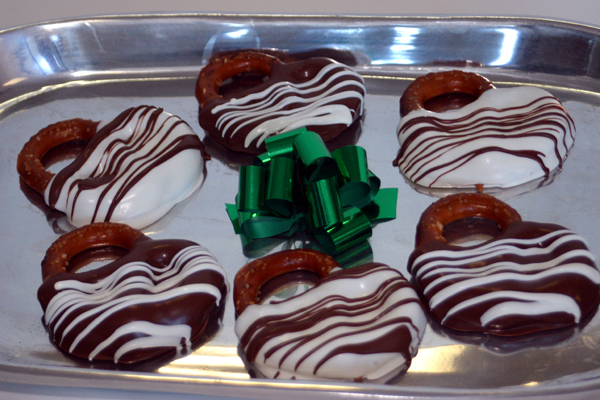 We hand dip these knot pretzels into our buttery caramel, then dip with white & milk chocolate. Contains 6 individually wrapped pretzels. Wow!